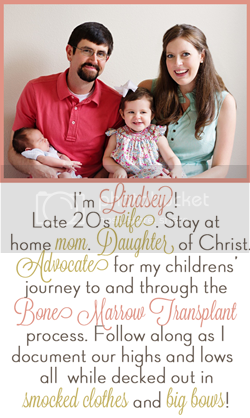 Anyone who has ever spent any time visiting my teeny tiny space of the interwebs knows how important bone marrow transplants are to my family. It should come as no surprise that the national registry, known at the Be The Match organization, is also incredibly important to us. Be The Match can be thanked for increasing the donor registry and allowing my children to both find life saving donors. In an effort to raise money for Be The Match, and raise awareness about the national registry, Alex and I have made the decision to run in the Be The Match Be The One run here in Houston! I've officially started training for the 5K in this insane heat as I have decided I will run the entire thing for my children! Running a 5K is the least I can do after the fight Kate and Will have fought. If you are local, we would love for you to join on team and run/ walk with us in September 15! However, if you are not local, we would still love your support. Alex and I have pledged to raise $2,000 for Be the Match. If you would like to make a donation in honor of Kate and Will, visit our team's website (link) and do so! All proceeds are tax deductible and go directly to Be the Match to help cover the costs of testing new donors, providing support for transplant patients and families, as well as helping to fund BMT research! There are also races in several other cities around the US if you are interested in running but do not live in Houston! We hope that you will help us reach our goal and appreciate all of the support we have so very much!